Kiln dried oak is a popular choice and often sells in crates. Oak is more dense than other wood species so it burns for longer than ash or birch. Ashby oak logs are kiln dried, oak logs typically have 50% moisture when they are green, kiln drying them brings the moisture level down to 20%. 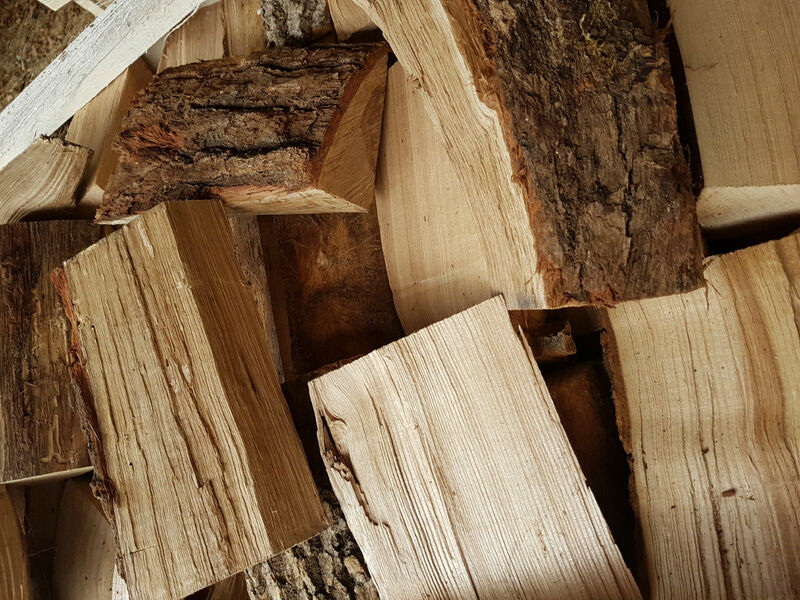 Bringing the moisture level down has many benefits, kiln dried logs burn more efficiently as it greatly reduces the energy used to burn off moisture as steam and therefore provides more heat vs volume of wood. Using kiln dried oak also minimises water vapour in your chimney, when combined with other gases and particles water can coat the flue or other surfaces, kiln dried wood offers a clean burn, with low smoke, and low tar production in your flue or chimney. Kiln dried oak offers a high calorific content and weighs much more than birch or ash, even when it’s dried to the same moisture level as ash or birch.